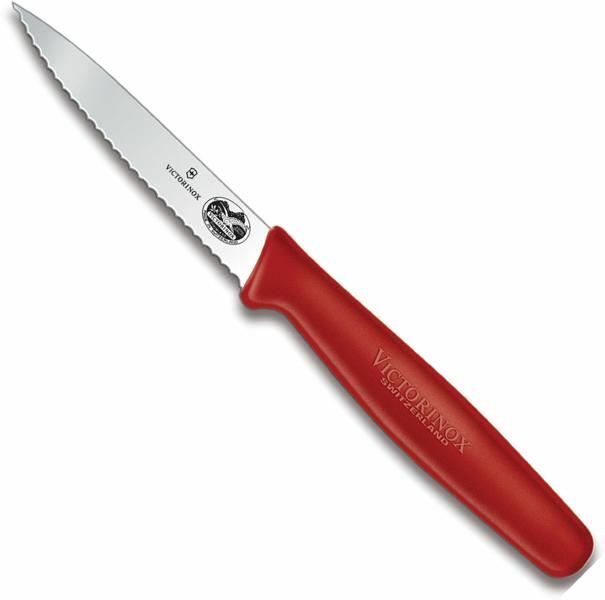 A paring knife is an important tool for any kitchen and perfect for tasks that require accuracy. These knives have a spear point and are great for any job, including peeling, slicing up small produce, removing stems, or even corn on the cob! This knife has a serrated edge made of high-carbon stainless steel that gives the blade amazing durability. The company laser tests all their blades to ensure world renowned sharpness that is backed by a lifetime warranty.